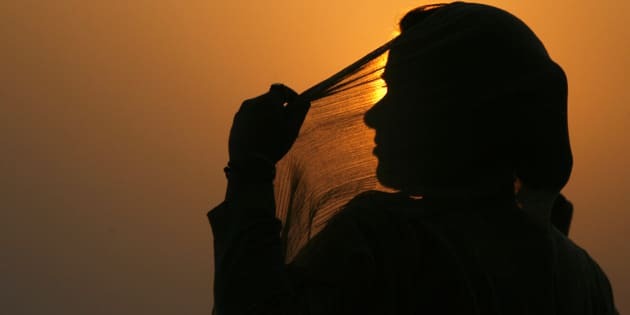 When two women in isolated yet similar incidents of sexual harassment in two Bundelkhand districts came forward to lodge complaints with the police, we knew what it meant for them, we knew what it took. But does the system play a role of coercion, or cooperation? If you happenstance take a taxi ride across the badlands of Bundelkhand, you will no doubt be listening to a choice selection of Bhojpuri hits, from ‘Engine kare puk puk’, to ‘Mood kare garam, ab chhodo saram’ or the much-preferred ‘Palang kare choy choy‘ – a feast of bed-creaking, breast-thrusting, brain-turning hits that will bring you up-close with the real issue of consent, full frontal. Buxom women ask skinny men to shed their propriety and just get down to business. Let the furniture join in the chorus of this mad, licentious item number in which all sexual norms are seemingly let loose. It’s the stuff that fantasies are made of. So when we reported not once, but twice, over the past few weeks, on instances of lewd songs being forcibly played to women by men in various situations of coercion, we couldn’t help but think of how the flagrant disregard of women’s consent or sense of self shifts the terrain – from fantasy right back to the real world, where women are trying to manage businesses and get to school. Make something of their lives, their ambitions. Like Anjana Singh, a grown woman brought to tears, narrating the harrowing experience of months of harassment from a group of men who work in an iron mongering shack in the plot of land next to where her husband’s general store is. She wo-mans the shop, often for upto seven or eight hours at a time, when her husband is away or busy. The men, she says, have an eye on her real estate and so routinely walk by and torment her publicly. And how do they do this? ‘Come and stand under my umbrella’, they sing. ‘Drink some tea, get a little warmed up’. ‘I can warm you up’. Harmless songs, she’s told. Anjana went to the local administration and tried to file numerous complaints. Her case is now being followed up by social worker Pushpa Goswami of the Belan Army. The Banda SP, the sturdy Shalini Singh, says the case is more complex than it seems. Anjana’s husband is accused by women who run the beauty parlour next door, of harassing them, similarly with lewd songs and abuses. They in turn have complained to the police, and so the two complaints are being investigated in parallel. Caught in the hot and heavy crossfire, is Anjana, who feels the eyes and pity of even the young girls who overhear her being harassed as layer upon layer of insult and humiliation. More recently, constable Shivsharan of Mahobkant police station has been slapped with a FIR he never ever imagined, we’ll warrant, he would be confronted with. In the third week of September, a young girl, on the way back from college, caught a tempo home. She said she didn’t catch it from the stand, but from about a kilometer away, and she recognized the driver. Soon enough, he started blaring ‘dirty songs’ on his ‘deck’. When the girl asked him to turn it off, he gave her the ‘my tempo, my deck, my prerogative’ argument. “When I continued to argue with him, he told me to get out of the tempo. So I walked the rest of the five kilometers home,” the girl said, unwavering. The story gets better, and more uniquely Bundelkhandi. The girl filed a complaint, and when the police came home for the verification, they assaulted her father – ‘he has lost some of his hearing after that day’. She was called to the police station, where the constable on duty, Shivsharan, began to play his own deck, and asked her to identify which song was played in the tempo and what the problem was with these harmless songs. “What kind of law and order or corruption is the Modi government talking about rectifying when this is the kind of treatment you get from the police? This reign of bullies isn’t going anywhere,” said he girl. We’re in a world where women are a part of the public sphere, as a result of righteous anger and protest, legislative reform, and overfunded international development campaigns. We recently celebrated the International Day of the Girl Child. Something in all of it rings hollow (if not entirely ludicrous), when women cannot expect to access respect and an understanding of bodily autonomy and the necessity of consent. For men to cross boundaries, whether in public transport, or in the space of the police station, or in a posh Delhi drawing room, is entirely legitimate, safeguarded by an impunity that no amount of iron-fisted sexual assault laws can damage, seemingly. Just as the roar of the BHU protests makes way for the rage over the firecrackers ban, the National Crime Records Bureau (NCRB) data tells us that there has been a a 33% rise rise in sexual harassment across U.P.. No amount of naming and shaming seems to be making any dents in all the incessant stalking, playing of lewd songs, flashing and gesturing women are subjected to – all of which is still clubbed under the (bloodcurdling) ‘boys will be boys’ refrain. What will it take to make crystal clear, at a conscious and subconscious level, that the woman who urges you to turn her on, exists in the same world as the one who says, turn the damn radio off, I do not like this? Because until that is clear as can be, the Beti Bachaos and Anti-Romeo Squads of the world are pure bunkum. The opinions expressed in this post are the personal views of the author. They do not necessarily reflect the views of HuffPost India. Any omissions or errors are the author’s and HuffPost India does not assume any liability or responsibility for them.